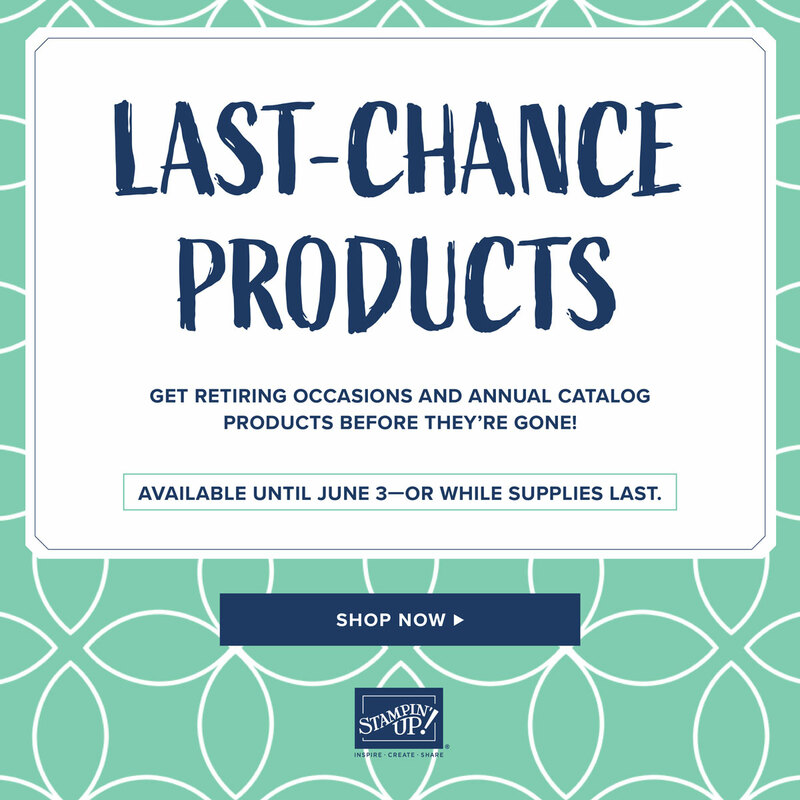 Don't forget to check out the retiring lists and remember that items are available while supplies last only! This month we used the Broadway Bound specialty paper as the focus for our 12 x 12 double layout. We also added some Sale-a-bration Lovely Lipstick foil paper to one side along with coordinating card stock colors - Lemon Lime Twist, Gray Granite, Lovely Lipstick and Basic Black. The first card uses the Gingham gala designer series paper in coordination with the Dandelion Wishes and Love What You Do stamp sets. The ink colors used were Basic Gray and Balmy Blue. Lastly we did a little different style or card. The base of Merry Merlot is 5 1/2" x 4" and the piece on the front is 3 3/4" x 3 3/4". We used the Needle and Thread stamp set along with Merry Merlot, Early Espresso and Mossy Meadow ink. If you think these look fun and want to try out our club as a member or guest, you can get more details about both the monthly club and virtual club right here! 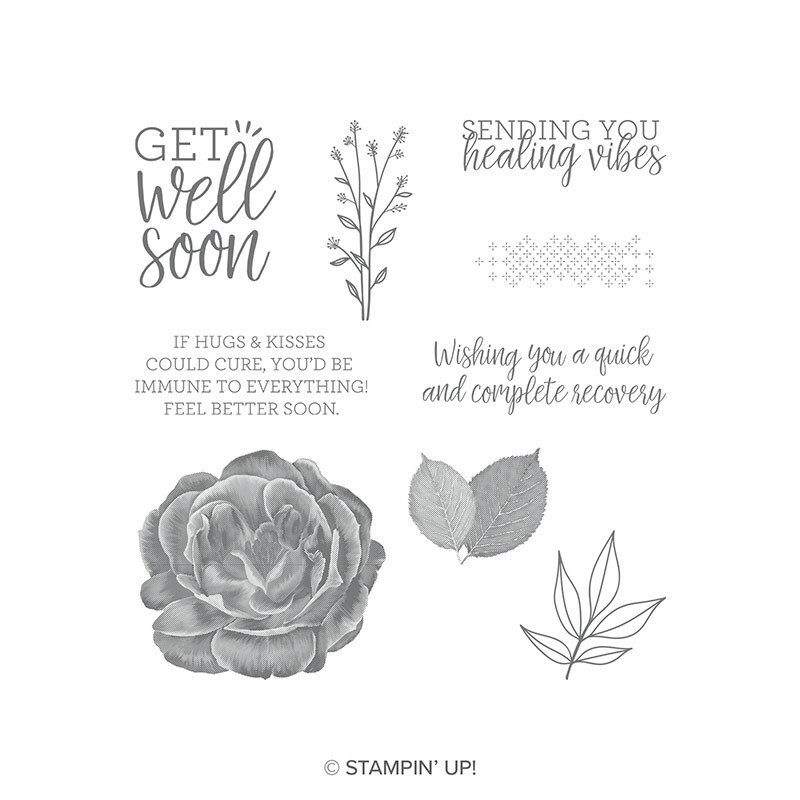 This card uses both a sentiment and some image stamps from the Petal Palette stamp set. On the base layer of Soft Sea Foam I used Soft Suede ink to stamp the leaves image once and then again without re inking it. There is another image stamped with Sahara Sand ink on the Wood Textures designer series paper that you can barely see in the picture. I also added a wood element that was a free gift in a Paper Pumpkin kit a year ago for a little extra pop. 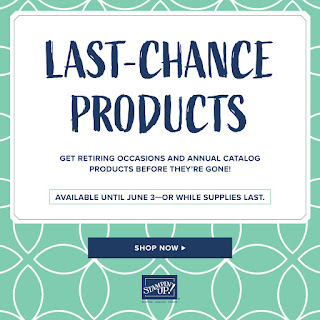 You can go here to see what will be retiring (while supplies last)! 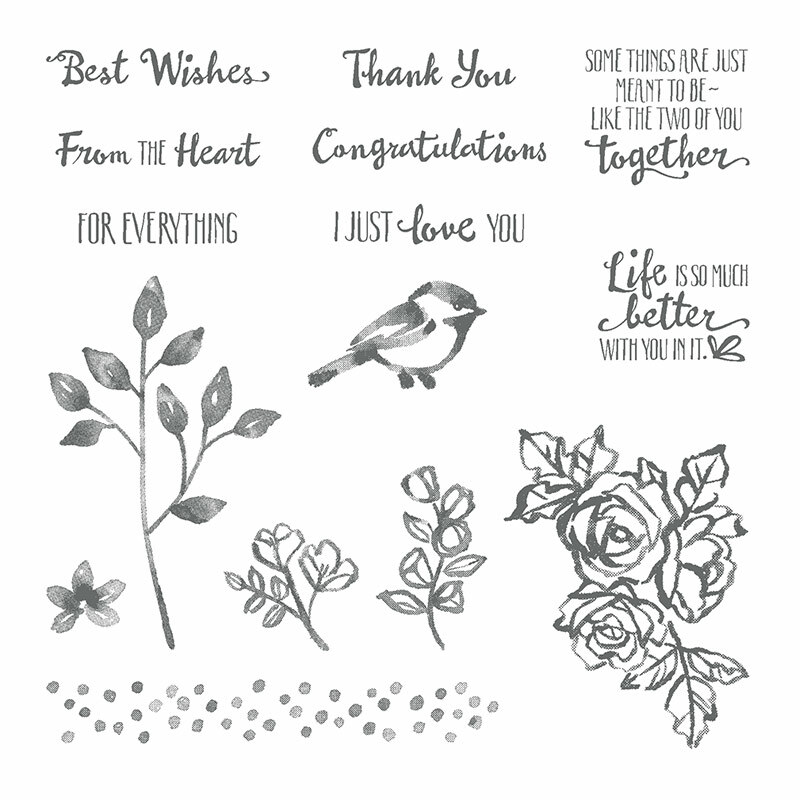 Sometimes simple is all you need and this card uses a simple thank you from the Kindness and Compassion stamp set layered on Mossy Meadow card stock and Neutrals designer series paper. This is a pretty simple two layer card for lots of occasions. I used several images from the hostess stamp set called Pressed Flowers and my just a note sentiment is from Wishing You Well. I popped up the Crumb Cake layer on the card base with Stampin' dimensionals and also added some frosted and clear epoxy drops for accents. 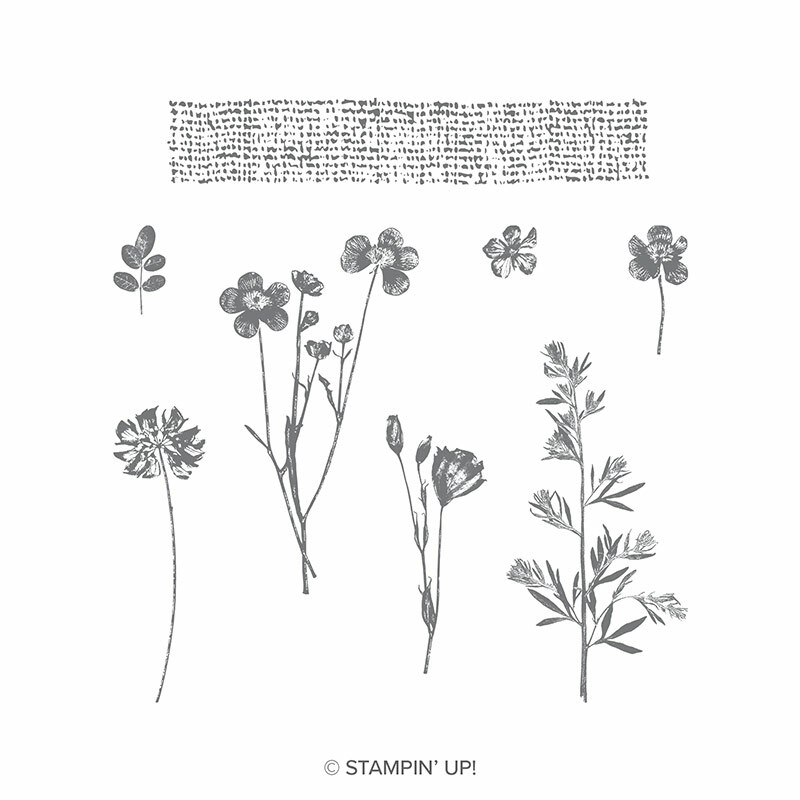 I am a mom, wife, farmer and Stampin' Up! demonstrator from North Dakota. I love to stamp and scrapbook and share ideas with others so I thought I would try out a blog. Hope you enjoy it! Follow Kris's board Maddiebug Designs on Pinterest. 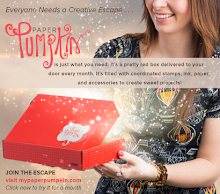 The contents of this blog are my sole responsibility as an Independent Stampin' Up! 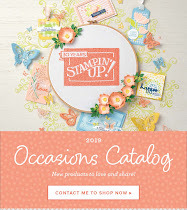 demonstrator and the use of and content displayed on this blog are not endorsed by Stampin' Up! All items are those of my own creation, unless otherwise stated. 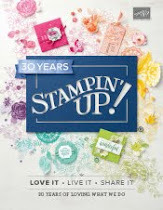 All images copyright Stampin' Up 1990 - 2010!